To fit almost the entire Volvo FH and Volvo FM model series. The first model generations of the Volvo FH and FM series have been on the roads for several years. Owing to the many years in operation and a very high average mileage, the number of Volvo trucks requiring stabilizer link repair will be increasing. Unresponsive steering of the vehicle is a typical indicator of stabilizer link damage. 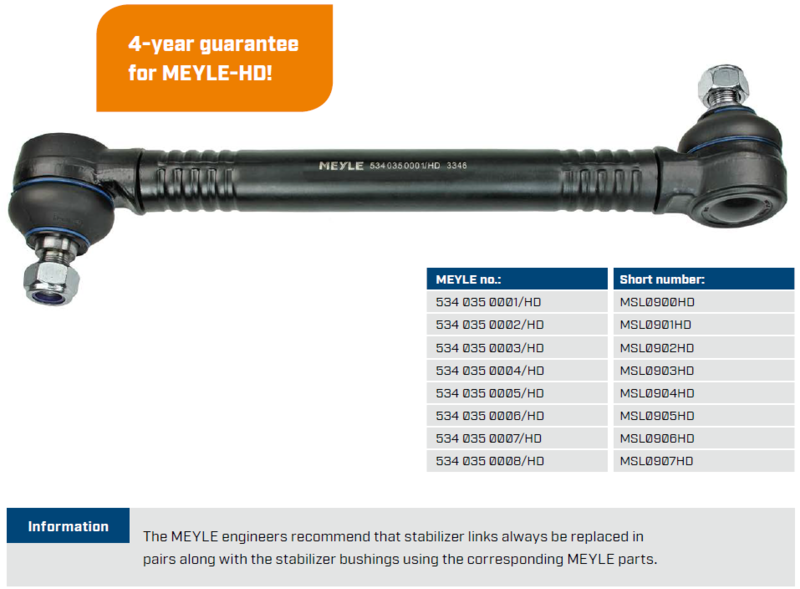 The comprehensive range of MEYLE-HD stabilizer links for trucks allows repair professionals to provide valueadded repair services while minimising vehicle downtime.